Osallistu Luther visaan! Kuinka hyvin tunnet suuren uskonpuhdistajan kirjoituksia? It is often said, that if a million monkeys type on their keyboards, they will eventually type out the entire works of Shakespeare. This is an interesting theorem and takes us into the interesting realm of ridiculously huge numbers. But before we delve into this, let us first look at an example closer to home – an ordinary bicycle lock, where there are three rings, each which has the numbers from zero to nine. If your friend tells you he forgot the combination to his lock, but managed to open it by trying a few combinations by random, you’d probably believe him but consider him very lucky. In this case the number of possible combinations is 10³ or 10*10*10 or 1000. Thus the probability of opening the lock by trying at random is 1/1000, that is very possible indeed. But let’s imagine your friend told you he had opened a lock with five rings. Now you might wonder a bit, because in this case the number of combinations is 10⁵ or 100000. If your friend had not lied before, you might believe him, but you probably would raise an eyebrow. Let’s take this futher and imagine your friend told you he managed to open a lock with ten rings by trying a random combination. Now the probability of opening the lock is 1/10¹⁰ or 1/10000000000 – you’d more likely win the lottery. But every week someone wins the lottery, so in theory your friend may have managed to open the lock. Let’s take this even further and imagine our friend tells us he managed to open a lock with a hundred rings. Now the number of combinations is 10¹⁰⁰ – and incredibly ridiculously huge number, a one followed by a hundred zeros. To get an idea how huge this number is, consider there are only 10⁸² atoms in the known universe. The probability of opening a lock with 100 rings is 1/10¹⁰⁰ – you are more likely to find one marked atom in the whole universe. In this case you would be certain your friend had lied. Only a fool would believe your friend. Sure that event is possibly in theory, but only in theory, in practice no one on this earth would be able to open that lock by a random search, not even if they tried from the Big Bang till the end of the universe. Let’s get back to the monkeys. Ignoring punctuation, the probability of the monkeys typing the first 100 characters of Hamlet would be 1/26¹⁰⁰ or 1/(3*10¹⁴¹). As in the example of the bicycle lock with 100 rings, so in this case also you’d more likely find a single atom in the universe than randomly type the first 100 characters of Hamlet. If one hundred trillion monkeys had been typing 100 trillion characters per second since the big bang, they would have typed 10¹⁴*4*10¹⁷*10¹⁴=4*10⁴⁵ characters, which according to my calculator is exactly zero percentage of all the possible combinations (3*10¹⁴¹). So with certainty the monkeys could not have typed even the first on hundred characters of Shakespeare, let alone the entire works. The infinite monkey theorem is often cited as proof that evolution is possible, because if evolution has millions of years to work with, even unlikely events are possible. So let’s look at the oring of life, what is the probability of the first living cell arising from the primordial soup? We shall not consider here an entire cell, but we’ll only look at a single protein. Life is mostly made up of proteins. Proteins are polypeptide chains, that are made up of twenty different aminoacids. On average a protein is made up of 300 aminoacids. Therefore there are a 20³⁰⁰, that is 2*10³⁹⁰, possible ways to build up a 300 aminoacids long protein. The probability of finding one such protein by random is thus 1/(2*10³⁹⁰), an incredibly ludicrously small number. But, you may object, that is just the probability of finding one protein, we need to consider the number of all functional proteins. You are correct. How many are there? Douglas Axe in the year 2004 estimated that there are one in 10⁷⁷ of functional proteins to junk. In the year 2012 Durston and Chiu estimated that number to be one in 10¹⁰⁰. Surely these are just estimates, it is impossible to imperically test all the possible functional proteins. What is clear though, is that functional proteins are very rare. If every single drop of water in our oceans (2.7*10²⁵ drops) since the Big Bang (4.4*10¹⁷ seconds) had tried to produce functional proteins once per second, they would have traversed through 10⁴³ different proteins – not even close to likely, that they would have found a single functional protein. Dispite this all the biology books claim that life was spontaneously created in the primordial soup. Richard Dawkins steps in. His brilliant Weasel-program solves this problem. His program shows, that in only 40 generations his program can produce the sentence “ME THINKS IT IS LIKE A WEASEL”. How is that possible? Because his program compares the randomly generated characters and only chooses the ones that match the given pattern. But this is information that evolution does not have. Evolution can not know if two aminoacids are in the right order, it can not know, if the first ten aminoacids are in the right place, it can’t know if 99% of the aminoacids were in the right sequence. Contrary to what Dawkins claims, there is not shortcut to the mount improbable. Nobody has ever demonstrated a path from one protein to another. There are no such paths. There is only an infinitesimally small chance of finding even a single protein. And if we are talking about the origin of life, then there is no mechanism of evolution that could have operated at that time, before the dawn of the first living creature. But, every now and then, somebody wins in the lottery. But nobody wins a million times in a row. 10⁸² atoms in the universe. 4.35454*10¹⁷ seconds since the Big Bang. 2.664*10²⁵ drops of water in the oceans. Hashem appears four times in these two verses. The possibility of getting a three letter hebrew word from random is one in 22³=10648. So that is the chance of getting just one particular hebrew word by typing random letters. Here we have that same hebrew word four times in these two verse. The probability of that happening is (1/10648)⁴=0 according to my calculator. Bad calculator. Well, we can do it on paper and we get 1/(1.29*10¹⁶). That is a chance of one in 12900000000000000. Very slim ods indeed. To me this proves beyound doubt, that that hashem was placed there by an intelligent being. A skilled scribe perhaps. Does it prove divine origin? No it does not. We see people coming up with similar crossword puzzles all the time. For a divine origin I’m looking for a case where say a 300 letter sequence appears with the ELS method. That would be beyond the means of even a skilled scribe. But alas, there are no such codes in the Bible. We get three letter, four letter and sometimes five letter words. But never whole sentences, never anything of truly divine proportions. How many grains of sand are there on the earth? Also Eheyeh appears in that same matrix. Now that is a four letter word and the chance of getting one of those by random is 1/22⁴ or 1/234256. Wow. Add that to our previous chances and the total is 1/((22³)⁴22⁴)=3.0110²¹ or one in 3.01 trilliard, if I have my large numbers correct. With very large number it is often difficult to see just how large or small they are. Again, accoring to my old calculator 1 divided by 3.0110²¹ is exactly zero. That is how close to zero it is. 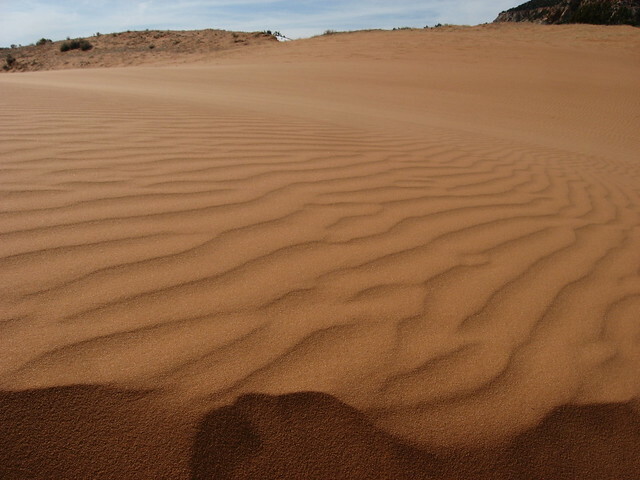 To give you some idea, there are 7.510¹⁸ grains of sand on the earth. So the probability of finding all those hebrew words in these two verses is smaller than the probability of finding just one marked grain of sand on the earth. Also take into consideration that the words found, hashem and ehyeh are directly related to these verses. So they are not just some random hebrew words. Oh now it gets interesting. There is also Yeshua’s name. Another four letter hebrew word. Shall we keep counting the odds? The odds of all of these appearing are now 1/((22³)⁴22⁴22⁴)=1/7.0510²⁶. The odds keep getting smaller. 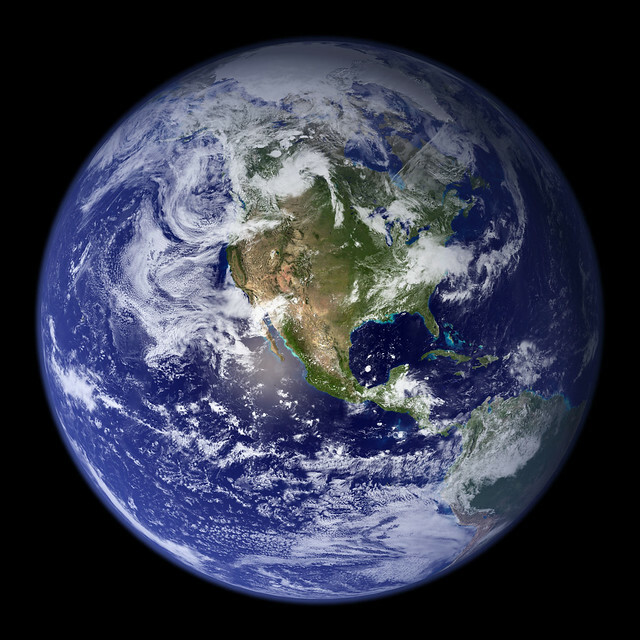 There are only 2.66410²⁵ drops of water in the oceans of the earth. So you are more likely to find just one drop of water on the oceans of the earth than getting all these hebrew words from a random source. All this shows, is that there is intelligence behind it. After all, people write sudokus and crossword puzzles all the time. Is this something a skilled scribe at the time of Moses could have achieved? I believe so. It does not indicate a divine origin. I believe the Bible to be of divine origin, but not because of Bible codes. For that, I raise the bar way higher and say that we need to find a sequence of at least a hundred characters long. The odds of getting that would be one in 22¹⁰⁰=1.75*10¹³⁴. To give you an idea how slim the odds of that would be, there are only an estimated 10⁸² atoms in the known universe. So that is the level I would expect were these codes from a divine origin. If the entire genealogy of Jesus was encrypted in the Torah, that would be something. Until that is found, it is all interesting, but not convincing. The pastor on the video says that right there it says that “my name is Yeshua”. I don’t agree with that. I’m maybe too critical, but that’s not in one sequence. That’s two different ELS codes that are joined by the last letter of one code that is the same for the first letter of the second one. But Yeshua is definately there and that could not be by accident. Like I said, the possibility of getting just one four letter word were it by random would be one in 234256. Quite unlikely. Then he says there is the word behold, it’s higlighted as “הא” Hey-Aleph, which I first didn’t believe ment “behold”. I’m familiar with the hebrew “Hinneh”, which means behold. So I had to check my lexicon (I’m maybe way too critical…) and indeed, strong’s 1887 “he” means lo, or behold and is found twice in the Bible (Gen. 47:23, Ez. 16:43). So it is a rare word, but definately means to behold. And that is in one sequence, the same ELS code and it does spell out “Yeshua, behold!”. That is one sequence that is six hebrew letters in length and the probability of that appearing were it due to chance is one in 22⁶ = 1/113379904. Again, pretty slim odds. Oh there is more. There is the word “שה” She, meaning lamb, ten times in the text. This is only a two letter word, but since it appears ten times, the odds of that happening are 1/((22²)¹⁰)=1/7.0510²⁶ – again astronomically small probability of that occuring by chance. And all of that in just two verse is truly remarkable. Lets add up all the probabilities so far and we get a chance of one in (22³)⁴22⁴22⁴22²(22²)¹⁰=2.4110⁵⁶ – how small is that probability? Again, according to my geeky calculator it is exactly zero. That is an incredibly small number. You are more likely to find one grain of sand on all the beaches of the earth than to stuble accross all these hebrew words by random. You have a better chance of finding one drop in the ocean. To give you some idea, there are only 1.33*10⁵⁰ atoms on the earth. So you have a better chance of finding one marked atom on the planet earth, than to stumble across all these hebrew words, were it due to chance. So at this point, no sane man can claim that these ELS codes are there due to chance. They were put there by an intelligent being. Also one of those words spells out Yeshua, why would the scribes have put that there? Is that evidence of a divine origin? You tell me. Oh there is also the word Echad. I’m too tired to add up the probabilities and it is almost Shabbat, so lets just leave it at that. The previous value tells you that no way on earth can these codes be there by chance. The person on the video then says that these words spell “Yeshua is the I am and he is the one lamb”, but that is just mixing the words at random. You have to be consistent. Just focus on Yeshua being there, lamb being there, ehyeh being there, echad and hashem and YHWH. All of that in two verses where the context deals directly with the nature of God. So it is remarkable, it is interesting, it is against all the odds, it is very cool indeed. But for some reason, I’m looking for more. I want to see that 300 letter sequence to be able to say definitivly that this was put there by the hand of God. Oh, there is more. Also the word river, five letters in hebrew “שמנהר”. I can’t find this one in my Lexicon. Google translate says that this hebrew word means “that he ran”. So it’s not a modern hebrew word. I’m not a great hebrew scholar, but I have the lexicon. And it’s not there. So I’m going to discard this one. All in all, very impressive. No doubt a great mind put all these words there, but was it God or just a very creative scribe who had too much time in his hands? You tell me. I’m undecided at this point. Oh, you might say that I’m not considering everything. 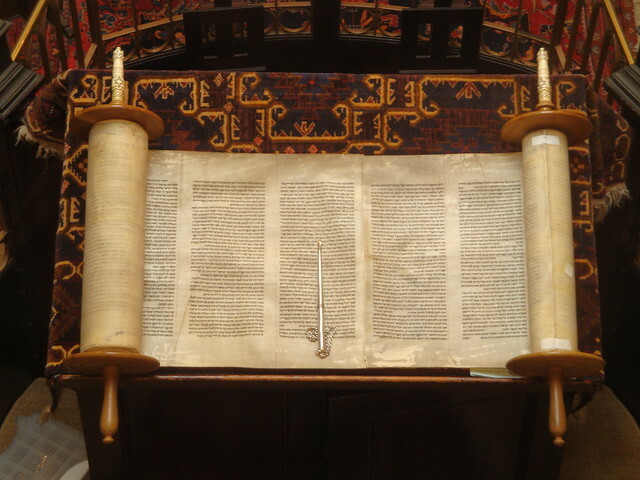 There are so many hebrew words, so many variations of spelling, so many places in the Torah to search for, so many ELS settings etc. It is idle to do the math. You can subtract all of that from the possibility calculated above of one in 2.4110⁵⁶ and the chance is still practically zero. The codes were put there by an intelligent being, that is certain. Had to leave the video at this point, because the sun is setting here in Finland, it is time for Shabbat, so Shabbat shalom, peace and love! Let’s not fight on the Shabbat. I respect all opinions. I want to know the truth. Let’s find it, so show me the evidence. Sanotaan, että jos tarpeeksi monta apinaa hakkaa tietokoneen näppäimistöä tarpeeksi monta vuotta, he tuottavat lopulta koko Shakespearen tuotannon. Tämä on mielenkiintoinen teoreema ja vie meidät naurettavan suurten lukujen ihmeelliseen maailmaan. Mutta ennen kuin tutkimme apinoita ja Shakespearen tuotantoa, katsokaamme ensin meille jokaiselle tutumpaa ja helpommin ymmärrettävää esimerkkiä, tavallista polkupyörän lukkoa, jossa on kolme rinkulaa, joissa kussakin numerot nollasta yhdeksään. Jos ystäväsi kertoo unohtaneensa polkupyörän lukkonsa koodin, mutta saatuaan sen avattua kokeiltuaan satunnaisia yhdistelmiä, todennäköisesti uskoisit ystävääsi, mutta pitäisit häntä todella onnekkaana. Tässä tapauksessa mahdollisia yhdistelmiä on 10³ eli 10*10*10 eli 1000. Todennäköisyys avata lukko sattumalta on 1/1000, eli siis täysin mahdollista. Mutta kuvitellaanpa, että ystäväsi kertoo avanneensa lukon, jossa on viisi rinkulaa. Nyt saattaisit jo hieman epäillä, sillä tässä tapauksessa mahdollisia yhdistelmiä on 10⁵ eli siis 100000. Jos ystäväsi ei ole aiemmin valehdellut, saattaisi uskoa häntä, mutta varmasti ihmettelisit hieman. Kuvitellaan vielä, että ystäväsi kertoisi avanneensa sattumalta lukon, jossa on 10 rinkulaa. Nyt todennäköisyys avata lukko sattumalta on 1/10¹⁰ eli siis 1/10000000000 (1 kymmenestä miljardista) – todennäköisempää olisi voittaa lotossa. Mutta kyllähän joka viikko aina joku voittaa lotossa, joten teoriassa ystäväsi on saattanut saada lukon avatuksi. Jos olet teoreettinen tyyppi, ehkä uskoisit ystävääsi, mutta me maalaisjärjellä ajattelevat realistit päättelisimme, että on todennäköisempää, että ystäväsi valehtelee. Jatketaan ajatusleikkiä ja kuvitellaan, että ystäväsi kertoo avanneensa sattumalta polkupyörän lukon, jossa on sata rinkulaa. Nyt mahdollisia yhdistelmiä on peräti 10¹⁰⁰ – täysin naurettavan absurdin suuri luku, ykkönen, jonka perässä on sata nollaa. Jotta käsittäisit, kuinka suuri tämä luku on, mieti, että koko maailmankaikkeudessamme on vain 10⁸² atomia. Todennäköisyys sattumalta avata polkupyörän lukko, jossa on sata rinkulaa, on 1/10¹⁰⁰, siis paljon todennäköisempää olisi sattumalta löytää yksi tietty atomi koko universumista. Tässä tapauksessa ei olisi epäilystäkään siitä, että ystäväsi valehtelee. Ainoastaan täysi mielipuoli pitäisi ystäväsi tarinaa uskottavana. Toki tuo tapahtuma olisi teoriassa mahdollinen, mutta ainoastaan teoriassa, käytännössä kukaan ei ikinä tällä planeetalla saisi lukkoa avatuksi, ei vaikka yrittäisi biljoona kertaa sekunnissa alkuräjähdyksestä maailmanloppuun asti. Palataanpa takaisin apinoihin. Jos jätämme välimerkit huomiotta ja tutkimme todennäköisyyttä apinoiden kirjoittaa Shakespearen tuotantoa alkukielellä, todennäköisyys sattumanvaraisesti näpytellä 100 ensimmäistä merkkiä Hamletista olisi 1/26¹⁰⁰ eli siis 1/(3*10¹⁴¹). Kuten esimerkissä polkupyörän lukosta, jossa on sata rinkulaa, myös tässä tapauksessa todennäköisemmin löytäisi universumista yhden atomin kuin onnistuisi näpyttelemään sattumanvaraisesti 100 ensimmäistä kirjainta Hamletista. Jos sata biljoonaa apinaa olisi näpytellyt tietokoneen näppäimistöä alkuräjähdyksestä tähän päivään asti syöttäen sata biljoonaa merkkiä sekunnissa, he olisivat käyneet läpi 10¹⁴*4*10¹⁷*10¹⁴=4*10⁴⁵ merkkiä, joka on taskulaskimeni mukaan tasan nolla prosenttia kaikista mahdollisista yhdistelmistä (3*10¹⁴¹). Apinat siis eivät varmuudella olisi onnistuneet näppäilemään edes sataa ensimmäistä merkkiä Hamletista. Jätän kotitehtäväksi laskea, kuinka monta biljoonaa vuotta apinoiden tulisi hakata näppäimistöjään, jotta he saisivat koko Shakespearen tuotannon näpyteltyä. Tätä apinateoreemaa käytetään usein todistamaan, että kyllä evoluutio on mahdollinen, sillä jos evoluutiolla on käytössä useita miljoonia vuosia, myös epätodennäköiset tapahtumat ovat mahdollisia. Tutkitaan siis seuraavaksi elämän syntyä, millä todennäköisyydellä ensimmäinen elävä solu on voinut syntyä? Emme tässä tarkastele koko solua, vaan otamme tarkasteluun ainoastaan yhden proteiinin. Elämä rakentuu pitkälti proteiineista. Proteiinit ovat polypeptidiketjuja, jotka rakentuvat kahdestakymmenestä eri aminohaposta. Yksi proteiini koostuu keskimäärin kolmestasadasta aminohaposta. Näin ollen on olemassa 20³⁰⁰, eli siis 2*10³⁹⁰, mahdollista eri tapaa rakentaa yksi 300 aminohappoa pitkä proteiini. Todennäköisyys siis sattumalta löytää yksi proteeini on 1/(2*10³⁹⁰), aivan naurettavan tähtitieteellisen pieni luku. Mutta, saatat sanoa, tuo on vain todennäköisyys löytää yksi tietty proteiini, meidän tulee ottaa huomioon kaikki potentiaalisesti funktionaaliset proteiinit. Olet aivan oikeassa. Paljonko niitä on? Douglas Axe vuonna 2004 arvioi vertaisarvioidussa tutkimuksessaan, että funktionaalisia proteiineja on yksi 10⁷⁷:stä. Vuonna 2012 Durston ja Chiu arvioivat luvun olevan vain yksi 10¹⁰⁰:sta. Selvästi nämä ovat vain arvioita, on mahdoton empiirisesti testata kaikkia mahdollisia proteiineja ja laskea tarkkaa lukua. Se on kuitenkin selvää, että funktionaaliset proteiinit ovat hyvin harvinaisia. Jos jokainen pisara maapallon valtamerissä (2.7*10²⁵ pisaraa) olisi alkuräjähdyksestä asti (4.4*10¹⁷ sekuntia) yrittänyt tuottaa funktionaalisia proteiineja kerran sekunnissa, ne olisivat pystyneet käymään läpi ainoastaan 10⁴³ eri proteiinia – ei lähelläkään todennäköistä, että ainuttakaan funktionaalista proteiinia olisi löytynyt. Kuitenkin biologian koulukirjat esittävät faktana, että elämä on syntynyt spontaanisti alkumeressä. Richard Dawkins astuu kuvaan ja tarjoaa oman selityksensä. Hänen kirjoittamansa nerokas Weasel-tietokoneohjelma ratkaisee tämän ongelman kätevästi. 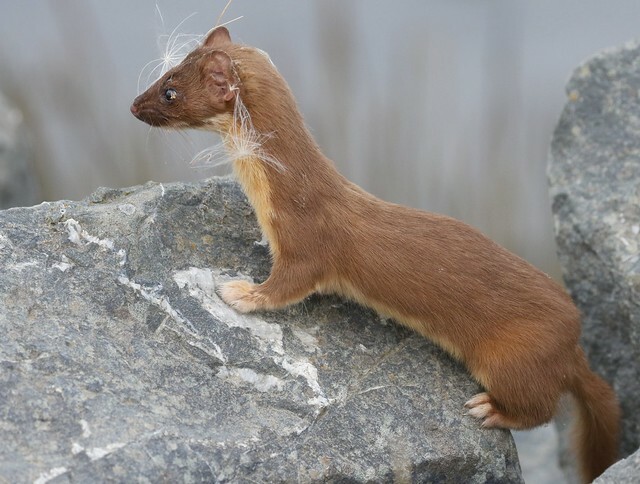 Hän osoittaa, että vain neljässäkymmenessä sukupolvessa hänen ohjelmansa pystyy satunnaisesti tuottamaan lauseen “ME THINKS IT IS LIKE A WEASEL”. Miten se on mahdollista? Koska hänen ohjelmansa vertaa satunnaisesti tuotettuja merkkejä ja valitsee seuraavalle kierroksella ne, jotka vastaavat ennalta annettua lausetta. Mutta tämä on tietoa, jota evoluutiolla ei ole, joten Dawkinsin ohjelma ei todista mitään. Evoluutio ei voi tietää, jos kaksi ensimmäistä aminohappoa on oikein, se ei voi tietää, jos kymmenen ensimmäistä aminohappoa on oikeassa järjestyksessä, se ei voi tietää, vaikka 99% prosenttia aminohapoista olisi oikeilla paikoillaan. Toisin kuin Dawkins väittää, epätodennäköisyyden vuorelle ei johda mitään tasaista oikopolkua. Kukaan ei ole koskaan pystynyt osoittamaan polkua yhdestä proteiinista toiseen. Sellaisia ei ole olemassa. On vain äärettömän suuri epätodennäköisyys löytää ainuttakaan proteiinia. Ja jos puhumme elämän synnystä, ei kemiallisella evoluutiolla edes ole käytettävissä mitään evoluutiomekanismia. Mutta, voittaahan aina joku lotossa. Mutta kukaan ei voita miljoona kertaa peräkkäin. 2.664*10²⁵ pisaraa vettä maapallon merissä. Tämä on herkkä ja tulenarka aihe, suorastaan ruutitynnyri. Jos sykkeesi nousi jo otsikon nähtyäsi, suosittelen, että pidät pienen taon, käyt vaikka lenkillä ja palaat sitten tähän artikkeliin. Jos et ole ottanut vielä lääkkeitäsi, tee se nyt. Vedä syvään henkeä, ennen kuin jatkat lukemista. Julkisessa keskustelussa Lutherin väitetystä antisemitismistä on äänessä ollut kaksi eri leiriä, joiden näkymykset eivät kohtaa sitten millään. Luther-vihaajat huutavat kurkku suorana, että Luther oli armoton antisemitisti ja ihmishirviö. Luther-fanit taas puolustavat suurta uskonpuhdistajaa ja hampaat irvessä väittävät, että ei se Luther mikään antisemitisti ollut, antamatta tuumaakaan periksi. Tällaisesta asetelmasta käsin ei voi syntyä rakentavaa keskustelua, kukaan ei tule viisaammaksi ja kaikille tulee paha mieli. Pidän tarpeellisena kertoa oman tarinani, jotta jokainen ymmärtäisi, mistä tässä oikein kenkä puristaa. Olen kasvanut luterilaisessa kodissa. Uskonratkaisun tein jo teini-iässä. Olen käynyt sekä Raamattuopiston nuorten peruskurssin että Kansanlähetysopiston raamattulinjan, joten olen saanut aimo annoksen Lutheria. En missään vaiheessa suuresti ihannoinut Lutheria, mutta tutustuin hänen teoksiinsa, pidin hänen ajatuksiaan järkevinä ja ajattelin, että hän on ehdottomasti suuri uskonpuhdistaja ja armoitettu oppi-isä. Monta vuotta jaksoin käydä luterilaisissa jumalanpalveluksissa, mutta uskonelämässäni ei pitkään aikaan tapahtunut mitään erikoista, kunnes vuoden 2013 tienoilla hurahdin ja rakastuin Israeliin. Minusta tuli Israeli fani, kuten niin monista muista kristityistä. Rupesin rukoilemaan Israelin puolesta ja siunaamaan Israelia, sillä Raamattu sanoo, että ne ovat siunattuja, jotka siunaavat Israelia (1. Moos. 27:29). Tutkin juutalaisuutta, en siksi, että minulla olisi ollut mitään mielenkiintoa kääntyä juutalaiseksi, vaan siksi, että halusin paremmin ymmärtää juutalaisia. Tässä prosessissa Toora, sapatti ja Messias kirkastuivat minulle aivan uudella tavalla. Mutta mikä tärkeintä, opin rakastamaan juutalaista kansaa. Raamatun äärellä minulle selvisi, että Jumala on lupauksensa ja liitot antanut Israelille, meidät pakanat on oksastettu Israeliin (Room. 11) ja me olemme yhtä Messiaan kansaa juutalaisten kanssa ja pyhien perheväkeä (Ef. 2). Koska olin näin kovasti innoissani juutalaisista, halusin luonnollisesti selvittää, mitä suuri uskonpuhdistaja ja armoitettu oppi-isä Martti Luther ajatteli juutalaisista. Se oli elämäni suurin virhe. Luin Lutherin teoksen “Juutalaisista ja heidän valheistaan” huolellisesti, tehden samalla muistiinpanoja. Lutherin sanat iskivät kuin ruoska, tehden kipeää joka lyönnillä. Eteeni piirtyi kuvia juutalaisten murhatuista ruumiista keskitysleireillä. Näin painajaisia Lutherista. Mielenterveyteni horjui. Luther solvasi, pilkkasi, panetteli ja kirosi juutalaisia yli 200 sivun verran. Jokainen sana satutti ja loukkasi minua. Luther esitti teoksessaan, että Jumala on varmasti hylännyt Israelin, että juutalaisten käännyttäminen on mahdotonta ja että kristityn ei tule olla missään tekemisissä juutalaisten kanssa, kaikki saatanallisia valheita. Luther esitti kirjassaan seitsemän kohdan ohjelman juutalaisongelman ratkaisemiseksi, jota on syytä lainata tässä kokonaisuudessaan, jotta jokainen saa tarkan käsityksen siitä, mitä Luther oikein kirjoitti. “Miten minun on nyt tämän turmeltuneen, kirotun juutalaiskansan kanssa meneteltävä? Lukiessani Luther teosta aloin voimaan pahoin. Minua ahdisti, oksetti ja kuvotti. Mutta vielä pahempi järkytys oli luvassa. Luettuani teoksen nimittäin keskustelin tästä Lutherin teoksesta luterilaisten ystävieni kanssa, niin maallikoiden kun oppineidenkin. Suurin osa oli kuullut Lutherin juutalaisvastaisista kirjoituksista, vain muutamat olivat lukeneet koko teoksen Juutalaisista ja heidän valheistaan. Mutta kaikkien reaktio oli sama – puolustella Lutheria. Kukaan ei sanonut, että tämä on hirveää, tämä on aivan kamalaa, näin ei saisi olla. Kuulin pelkkää selittelyä ja puolustelua. “Luther oli vain oman aikansa lapsi” “Luther oli antijudaisti, ei antisemitisti” “Luther kirjoitti paljon muutakin” “Lutherkin oli vain ihminen”. Minun kimppuuni hyökättiin verbaalisesti ja minua haukuttiin hurmahengeksi, käskettiin lukea lisää Lutheria. Tämä luterilaisten reaktio järkytti minua vielä enemmän kuin itse Lutherin teos. En voinut ymmärtää, miksi kukaan haluaisi niin kiihkeästi puolustaa suurta antisemitismiä, enkä täysin ymmärrä vieläkään. Minä tein ainoan oikeana pitämäni ratkaisun ja erosin kirkosta. Sittemmin löysin paikkani eräästä toisesta seurakunnasta, jossa Lutheria ei siteerata, ja jossa ahdisti vähemmän. Korostan, että tämä oli minun ratkaisuni. Suomi on vapaa maa, ja Suomessa saa vaihtaa uskontoa, jos siltä tuntuu. Minä en sano, että sinun täytyisi erota kirkosta. En sano, että sinä et saisi kutsua itseäsi luterilaiseksi. En sano, että sinä et saisi lukea Lutheria tai pitää Lutheria suurena uskonpuhdistajana, mitä hän kiistämättä oli. Mitä sitten haluan? Minä pyydän hartaasti, että luterilaiset tunnustaisivat tosiasiat ja myöntäisivät, että Luther oli antisemitisti, ja että hänen vastenmieliset juutalaisvastaiset kirjoituksensa ovat satuttaneet, traumatisoineet ja järkyttäneet monia. Samaan aikaan on totta, ja toivon, että Lutherin vastustajat ymmärtäisivät tämän, että Lutherin aiemmat kirjoitukset ovat tuoneet armon ja pelastuksen monille. Pyydän, että kukaan ei enää saivartelisi, että Luther oli antijudaisti eikä antisemitisti, sillä juutalaista kansaa ei yhtään lohduta, onko heitä kohtaan suunnattu viha antijudaismia vai antisemitismiä. Rukoilen, että luterilaiset voisivat julkisesti entistä selvemmin ja kirkkaammin irtisanoutua kaikista Lutherin juutalaisvastaisista kirjoituksista. Pyydän luterilaisilta hieman empatiakykyä, kykyä asettua vainotun ja paljon kärsineen kansaan asemaan. Pyydän kaikkia luterilaisia edes hetkeksi pohtimaan omaan suhdettaan juutalaisiin ja Lutheriin. Samaan aikaan toivon, että Luther-vihaajat voisivat tunnustaa Lutherin monet kiistattomat positiiviset saavutukset. Toivon rakentavaa keskustelua, jossa toista osapuolta kuullaan. Tarvitsemme rauhan- ei sodanjulistusta. Aabrahamin, Iisakin ja Jaakobin Jumala siunatkoon sinua. Shalom! … mutta minun mestarini on. Miten minun on nyt tämän turmeltuneen, kirotun juutalaiskansan kanssa meneteltävä? 1) heidän synagoogansa tai koulunsa sytytettäköön tuleen, ja mikä ei tahdo palaa, se peitettäköön ja umpeenluotakoon maalla, ettei ikänä yksikään ihminen näkisi siitä kiveä eikä kuonaa. 2 ) talonsakin samalla tavalla rikkirevittäköön ja hävitettäköön, sillä niissäkin he harjoittavat samaa, mitä he kouluissaan harjoittavat. 3)heiltä otettakoon pois kaikki heidän rukouskirjansa ja Talmudin selityksensä, joissa sellaista epäjumalanpalvelusta, sellaisia valheita, kirouksia ja jumalanpilkkaa opetetaan. 4) heidän rabbiineitaan kiellettäköön elämän ja hengen menettämisen uhalla vast’edes opettamasta. 5) juutalaisilta kokonaan peruutetaan tien ja saattovartion käyttöoikeus, sillä heillä ei ole maaseudulla mitään tekemistä, koska he eivät ole herroja, ei virkamiehiä eivätkä kauppiaita tai sentapaisia. otettakoon kaikki omaisuus ja hopea- ja kultakalleudet ja pantakoon syrjään talletettaviksi. Graham Turnerin ydinsanoma kirjassa Messiaan kansa on, että sekä juutalaiset että pakanat muodostavat Messiaan kansan, Jumalan valitun seurakunnan, jossa ei ole mitään erotusta juutalaisen ja pakanan välillä. Myös pakanat ovat osallisia Jumalan Israelille antamiin lupauksiin ja siunauksiin ja he ovat Aabrahamin perillisiä. Pakanat on oksastettu Israeliin. Jumala ei ole hylännyt Israelia, vaan juutalaisilla on edelleen osansa Jumalan suunnitelmassa. Pakanoiden ei tule sortaa juutalaisia seurakunnassa eikä juutalaisten pakanoita. Pakanat eivät saa ylvästellä juutalaisten rinnalla. Juutalaisten palaaminen omaan maahansa kuuluu Jumalan suunnitelmaan. Kirkko ei ole korvannut Israelia. Turner romuttaa sekä korvausteologian, supersessionismin että dispensationalismin. Jokaisen antisemitistin ja korvausteologin pitäisi lukea tämä kirja. Mutta. Kuten yleensä on laita kristillisten kirjojen osalta, yleensä niissä on 95% täyttä asiaa ja sitten 5% eksyttävää hapatusta. Niin tässäkin kirjassa. Turner nimittäin rummuttaa läpi kirjansa samaa sanomaa, että siinä missä juutalaisten tulee noudattaa Tooraa, eivätkä pakanat saa tuomita juutalaisia Tooran noudattamisesta, pakanat itse eivät missään tapauksessa saa noudattaa Tooraa. Hei eivät saa omaksua juutalaisia tapoja, eivätkä saa yrittää kääntyä juutalaisiksi tai esittää juutalaisia. Suurin ongelma tässä on, että jos kerran pakanat eivät saa noudattaa Tooraa, tarkoittaako Turner todella, että pakanat eivät saa noudattaa kymmentä käskyä ja rakkauden kaksoiskäskyä? Kirjassaan Turner ei sano, mutta veikkaisin, että hänenkin mielestään pakanoiden tulee noudattaa kymmentä käskyä ja rakkauden kaksoiskäskyä, siis Tooran käskyjä. Joten on selvää, että ainakin osaa Tooran käskyistä tulee myös pakanoiden noudattaa, mutta Turner kirjassaan sanoo vain, että Tooraa ei saa pakanat noudattaa, ottamatta lainkaan kantaa siihen, mitä Tooran käskyjä tulee noudattaa ja mitä ei, mitkä käskyt ovat juutalaisille ja mitkä pakanoille. Turner puhuu juutalaisten tapojen noudattamisesta ja hänellä menee pahasti puurot ja vellit sekaisin. Toora ei ole juutalaisia tapoja. Minä en seuraa mitään juutalaisten tapoja, perinnäissäädöksiä, myyttejä tai legendoja. Minä noudatan Tooraa, eikä se tee minusta juutalaista. Juutalaisten tapoja meidän ei tule noudattaa, mikäli sillä tarkoitetaan juutalaisten perinnäissääntöjä. Turner kirjoittaa, että tapahtumat Corneliuksen talossa vakuuttivat Jerusalemin johtajat siitä, että Jumala ei edellyttänyt pakanoilta Tooran noudattamista. Miten ihmeessä? Kerrotaanko Raamatussa, että Cornelius kumppaneineen eivät noudattaneet Tooraa? Turner väittää, että Jerusalemin kokouksessa (Apt. 15) päätettiin, että Tooran noudattaminen ei ole välttämätöntä pakanauskoville. Todellako? Näin sanotaan missä kohtaa Apostolien tekoja? Ja onko Turner nyt ihan varma, että Jumalan puolesta pakanat saavat tappaa, varastaa ja tehdä huorin? Eli siis kymmentä käskyä ja rakkauden kaksoiskäskyä ei tarvitse pakanauskovien noudattaa? Miksi Jaakob sanoo kokouksessa: “Sillä Mooseksella on ammoisista ajoista asti joka kaupungissa julistajansa; luetaanhan häntä synagoogissa jokaisena sapattina.” (Apt. 15:21)? Mitä pakanat tekevät sapattina synagoogassa kuulemassa Moosesta, jos kerran kokouksessa päätettiin, että Toora ei ollenkaan koske pakanoita? Turner kirjoittaa, että Toora on Jumalan lahja maailmalle. Turnerin mukaan se siis on lahja koko maailmalle, mutta jostain syystä ainoastaan juutalaisten tulee sitä noudattaa. Miten se siis on lahja meille pakanoille? Turner väittää, että Pyhän Hengen vuodattaminen pakanoiden ylle todista, että Jumala hyväksyi heidät ilman Tooran noudattamista. Mutta missä kohtaa Raamattua kerrotaan yhdestäkään pakanasta, että he eivät olisi noudattaneet Tooraa? Esim. Cornelius oli pakana, mutta häntä kutsutaan Raamatussa Jumalaa pelkääväksi hurskaaksi. Tämä voi tarkoittaa ainoastaan, että hän noudatti Tooraa. Turner esittää, että Tooran noudattaminen on juutalaisten tunnusmerkki, mutta sillä ei ole mitään tekemistä Jumalan hyväksynnän kanssa. Hän väittää, että pakanoiden ei kuulu teeskennellä olevansa juutalaisia noudattamalla juutalaisia tapoja. Tästä olen samaa mieltä, pakanoiden ei kuulu teeskennellä olevansa juutalaisia ja noudattaa juutalaisia tapoja, mutta Tooralla ei ole mitään tekemistä juutalaisten tapojen kanssa, Toora on Jumalan pyhä, vanhurskas ja hyvä laki kaikille Messiaan kansan jäsenille. Turner kirjoittaa: “Pyhän Hengen saaminen merkitsee sydämen hengellistä ympärileikkausta niin juutalaisten kuin pakanoidenkin kohdalla ja Jumalan lakien kirjoittamista heidän sydämeensä.” Tässä hän viittaa Jeremian profetiaan uudesta liitosta (Jer. 31:33), jossa sanotaan alkukielen mukaan, että uudessa liitossa Toora kirjoitetaan meidän sydämiimme. Turner on siis ongelmissa, hän myöntää, että Toora kirjoitetaan myös pakanoiden sydämiin, mutta miten ihmeessä siis pakanat eivät ole velvollisia noudattamaan Tooraa? Turner väittää, että kun Pietari lakkasi aterioimasta pakanauskovien seurassa Antiokiassa, se johtui siitä, että hän salli Tooran noudattamisen ulkoisen muodon johtaa hänet rikkomaan käskyä toisten Messiaan kansaan kuuluvien rakastamisesta. Tämä on varsin erikoista, sillä missään kohtaa Tooraa ei kielletä ketään nauttimasta ateriaa pakanoiden kanssa, kyse oli juutalaisten perinnäissäännöstä, jonka noudattamiseen Pietari sortui. Miten ihmeessä heikot ja köyhät alkeisvoimat voisivat tarkoittaa Jumalan pyhiä käskyjä? Turner myöntää, että Paavali itsekin vietti juutalaisten juhlapyhiä, ja sanookin, että juutalaiset saavat niitä noudattaa, mutta pakanat missään nimessä eivät saa. Turner sanoo, että kun pakanat alkavat käyttää kipaa ja viettää hanukkaa, he tekevät saman virheen kuin galatalaiset. Tästä olen osittain samaa mieltä. Meidän ei tule viettää hanukkaa eikä käyttää kipaa, koska ne ovat juutalaisten omasta päästään keksimiä perinnäissääntöjä. Mutta Jumalan pyhää lakia, Tooraa, meidän on noudatettava. Missään kohtaa Galatalaiskirjettä Paavali ei moiti yhtään ketään Tooran noudattamisesta. Galatalaisten harhaoppi ei ollut, että he noudattivat Tooraa, vaan että he kuvittelivat ympärileikkauksen ja Tooran noudattamisen kautta pelastuvansa. Tätä harhaoppia Paavali vastusti, mutta hän ei sanallakaan vastusta Tooran noudattamista. Laissa siis ei ole mitään vikaa, se Paavalin mukaan on pyhä, vanhurskas ja hyvä (Room. 7:12) ja Toora sanoo, että me voimme sen täyttää. Jos joku nyt kuitenkin tekee syntiä, niin se ei johdu laista, se ei johdu siitä, että laki olisi meidän mahdoton täyttää. Samaa valhetta levittävät monet kristity, että laki on mahdoton noudattaa, ikään kuin Jumala olisi antanut meille lain ansaksi, jonka ainoa tarkoitus on johtaa meidä Kristuksen luokse. Minua vain ihmetyttää, että jos Messiaan kansa on yksi kansa, yksi seurakunta, miten yhteys pakanoiden ja juutalaisten välillä on mahdollista, jos juutalaiset noudattavat Tooraa mutta pakanat eivät? Minä päivänä Messiaan kansa kokoontuu jumalanpalvelukseen, jos juutalaiset pyhittävät sapatin, mutta pakanat sunnuntain? Miten seurakunta kokoontuu yhteiselle aterialle, jos juutalaiset noudattavat ruokasäädöksiä, mutta pakanat mässäilevät porsasta ja äyriäisiä? Turner ei ota mitään kantaa näihin kysymyksiin. Turner väittää, että kolossalaisia samoin kuin galatalaisia painostettiin omaksumaan juutalaisia tapoja. Heitä kuulemma arvosteltiin siitä, että he eivät osallistuneet juutalaisiin juhliin tai syöneet kosher-ruokaa. Turner väittää, että Paavali tässä sanoo selvästi, että näitä asioita ei vaadita kristityiltä. Sanooko Paavali todella näin? Sanooko Paavali tässä (Kol. 2:16,17) että kristityn ei tarvitse noudattaa juutalaisia juhlia tai ruokasäädöksiä? Ei tasan sano. Paavali sanoo tässä, että kukaan ei saa tuomita näistä asioista. Raamatun käännöksemme on pahasti pielessä. Alkukielessä nimittäin ei ole ollenkaan sanaa vain, joten nämä juhlat ja muut ovat todellakin tulevaisten varjo, ne eivät ole “vain” varjo. Viimeisessä lauseessa ei kreikassa ole lainkaan olla-verbiä, siinä sanotaan vain “mutta Kristuksen ruumis”. Kun luemme molemmat lauseet yhdessä alkukielen mukaan, Paavali tässä sanoo, että kukaan ei saa teitä tuomita näistä asioista paitsi Kristuksen ruumis. Kukaan ulkopuolinen pakana siis ei saa teitä tuomita näistä asioista, se on yksin Kristuksen ruumiin, eli seurakunnan tehtävä. Tästä Turner vetää johtopäätöksen, että “Messiaan kansa ei ole minkäänlaisten sääntöjen lainen. Heidän ainoa lakinsa on rakkauden laki”. Kuitenkin tässä puhutaan maailman alkeisvoimista, mitä tekemistä Jumalan pyhällä lailla, Tooralla, on maailman alkeisvoimien kanssa? Jos Turner olisi vaivautunut lukemaan yhden jakeen pidemmälle, kävisi hänellekin selväksi, että käskyt “Älä tartu, älä maista, älä koske!” ovat ihmisten käskyjä ja oppeja, joita ei tule noudattaa. Eli siis meidän ei tule noudattaa mitään juutalaisten omasta päästään keksimiään perinnäissääntöjä, yhtä vähän kuin kristittyjen omia sääntöjä ja säädöksiä. Missään kohtaa Raamattua ei sanota, että pakanat saavat nyt rikkoa ainuttakaan Tooran käskyä. Olisihan se kätevää, jos ainoa noudatettava laki olisi rakkauden laki. Mutta kun missään kohtaa Raamattua ei sanota, että rakkauden laki on korvannut ja kumonnut Mooseksen lain. Turner myöntää, että pakanoiden on ymmärrettävä juutalaisten juhlien merkitys, koska ne saavat täyttymyksensä Messiaassa. Mutta miksi ihmeessä pakanat missään tapauksessa eivät saa viettää näitä juhlia, jotka julistavat Messiaasta ja jotka saavat täyttymyksensä Messiaassa? Turner myöntää hienosti, että Paavalikin arvosti juutalaisia juhlia, koska näki vaivaa ehtiäkseen helluntaiksi Jerusalemiin. Paavali siis vietti juutalaisia juhlia. Paavali käskee meidän olla hänen seuraajiaan, niin kuin hän on Kristuksen seuraaja (1. Kor. 11:1). Jos siis Paavali vietti “juutalaisten” juhlia, miksi emme myös me pakanat? Vai unohtiko Paavali mainita, että pakanoiden ei tule seurata hänen esimerkkiään? Turnerin suhtautuminen uhraamiseen on harvinaista kuultavaa kristityn suusta. Hän nimittäin esittää, että temppelin uhrit Jeesuksen kuoleman jälkeen eivät olleet väärin. Hän sanoo, että Paavali osallistui puhdistusmenoihin, joihin kuului uhraaminen, joten ne eivät olleet väärin, ainoastaan merkityksettömiä pelastuksen kannalta. On hienoa, että edes joku kristitty ymmärtää ja myöntää tämän asian. Turner sanoo, että koska pakanat ovat osa Messiaan kansaa, he ovat osallisia Israelin kanssa solmituista liitoista. Minua ihmetyttää, miten he täten ovat vapaat rikkomaan Tooraa? Turner väittää, että Messiaassa tuota muuria ei enää ole, se oli olemassa vain niin kauan kuin Toora oli voimassa. Nyt tuli Turnerilta lipsahdus, aiemmin hän on esittänyt, että Toora kyllä on voimassa, mutta koskee ainoastaan juutalaisia. Nyt hän sortuu kristityille yleiseen virheeseen, että Toora muka on kumottu. Jeesushan sanoo, että hän ei tullut kumoamaan Tooraa (Mt. 5:17), joten Tooraa ei ole kumottu. Toinen virhe Turnerilta on olettaa, että tuo vihollisuuden muuri muka olisi jotakin, mikä olisi Toorassa käsketty. Toorassa ei ole ainuttakaan käskyä rakentaa temppeliin pakanoita ja juutalaisia erottavaa väliseinää, kyse oli jälleen juutalaisten omasta perinnäissäännöstä. Hieman myöhemmin kirjassaan Turner palaa lukuisia kertoja jo moneen kertaan esittämäänsä teesiin, että pakanoiden ei tule noudattaa Tooraa. Hän kirjoittaa mm. näin: “Pakanat ovat osallisia sekä lupauksesta että Hengestä yksin uskon perusteella, eivät Tooran noudattamisen perusteella eli juutalaisiksi muuttumalla”. Tässä on jälleen Turnerilta se virhe, että hän kuvittelee Tooran noudattamisen muutavan ihmisen juutalaiseksi. Tuleeko minusta juutalainen, jos noudatan kymmentä käskyä ja rakkauden kaksoiskäskyä? Ihmeellisin väite Turnerilta on, että kunnon ihmiset eivät tarvitse Tooraa, mutta syntiset tarvitsevat Tooraa näyttämään heidän syntisyytensä ja pelastuksentarpeensa. Eli siis Toora on vain syntisille. Selittäkää minulle, kun Toora näyttää syntiselle, että hän tekee syntiä, kääntyy Messiaan puoleen ja katuu syntejään, onko hän tämän jälkeen vapaa tekemään jälleen syntiä ja rikkomaan Tooraa? Turner väittää muiden valheidensa ohella, että Jumala itse muka salli temppelin tuhoutumisen. Sanotaanko jossakin kohtaa Raamattua näin, että Jumala muka salli temppelin tuhoutumisen? Jos Jumala salli temppelin tuhoutumisen, emmekö aivan yhtä hyvin voisi väittää, että hän salli myös holokaustin? Mikä maailmassa on Jumalan sallimaa ja mikä ei? Mikään ei viittaa siihen, että temppelin tuhoutuminen olisi ollut Jumalan tahto. Kuten Turner itse aiemmin myönsi, uhreissa ei ollut mitään väärää Jeesuksen kuoleman jälkeenkään. Miksi siis Jumala itse olisi tuhonnut oman temppelinsä? Turner toistaa kristittyjen paljon hokemaa mantraa, että “Koska hän on täyttänyt Tooran vaatimukset, toisten ei tarvitse pelastuakseen täyttää niitä.” Ja missä kohtaa Raamattua sanotaan, että Messias on täyttänyt lain meidän puolestamme, niin että meidän ei sitä tarvitse noudattaa? En ole saanut vastausta yhdeltäkään kristityltä. Turner esittää paljon toistetun virheellisen käsityksen, että Jeesuksen vertauksessa viikunapuu mukamas tarkoittaa Israelia. Missään kohtaa Raamattua ei viikunapuuta käytetä Israelin vertauskuvana. Tämä ei ole vakava virhe, mutta on harmillista, että kristityt toistelevat tällaisia harhaisia käsityksiä. Lopuksi on hienoa, että Turner varoittaa juutalaisten taruista ja ihmisten käskyistä (Tiit. 1:14). Talmud ja Kabbala kietovat niin kristittyjä kuin juutalaisiakin valheen pauloihin. Lopulta herää kysymys, kuinka hyvin Turner on perehtynyt messiaanisten ajatuksiin? Hän hyökkää voimalla Tooraa vastaan, joten ilmeisesti joku on Turneria näillä petollisilla opeilla ärsyttänyt. Vähempikin olisi riittänyt yhteen kirjaan, jonka keskeisin pointti ei kuitenkaan ole, tuleeko meidän noudattaa Tooraa, vaan että me kaikki olemme Aabrahamin perillisiä ja Messiaan kansaa, mihin voin yhtyä.